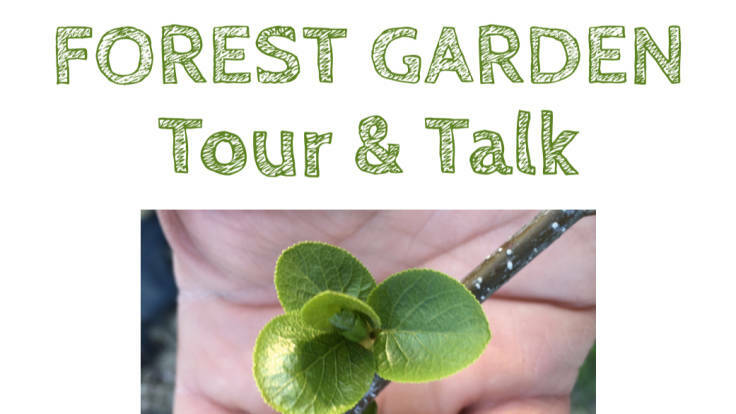 Forest garden tours now public! Forest garden tours, first Saturday of the month, May–September inclusive! We’ve taken the plunge and opened up the forest garden tours for individual members of the public to come along, rather than just taking group bookings. Please book in advance, tickets from Eventbrite, £10 each. Less maintenance. No, really, less maintenance. A forest garden isn’t a miracle cure but by the very design (perennials, ground cover, self-fertilising) they are less maintenance. Doesn’t that sound attractive? Less grass. This is actually the same as above. But, there is generally less grass in a forest garden, just some paths. And less grass means… less mowing. That’s right, even less maintenance. More wildlife. Everybody likes wildlife. Wildlife likes wildlife, particularly for lunch. And forest gardens are, by nature, wildlife-friendly. There’s a great diversity of permanent cover and plant species, in different layers (trees, shrubs, ground cover). And diversity encourages wildlife. Stuff you can eat. It’s like foraging in your own back garden, without having to ask the landowner’s permission (because you are the landowner).